I have watched as a nation’s emotions kept building, anxiety reaching a fever pitch. Cries for justice rang loud and a demand for good police work, the utmost importance. We all held our breath as we waited for Bert Vasquez to be charged, fearing that he would walk away “as usual” prompting protest marches sending a clear message of “No! Not this time!” And the police came through. He was charged. But that wasn’t the end, rather it is the beginning. Just like the public feared he wouldn’t even be charged, now it fears he won’t be convicted. But instead of putting pressure on the police by standing together and making the effort to ensure that he is convicted, instead of helping the police and participating in the process of justice, we have people allowing their fear and lack of faith to derail justice in a most egregious way. Having convinced themselves that because of his family name and influence he will not be convicted, they are calling for vigilantism. One of these people is my own partner, Aria Lightfoot. Yes, Aria. I am calling you out. So sue me. At first, I tried to give her the benefit of the doubt, so I simply asked: “What are you inciting here?” She responded with a pretty mild answer saying she was just looking for solutions but as the conversation became more involved and other people put their two cents in, it became clear what was being said. We should kill Bert Vasquez and not bother with the process of justice, after all it is a “joke” as one person said. So I sarcastically said: “Well let’s just kill him and get it over with! Goddammit! Screw the justice system. Let’s just be as evil as he is! Who needs rules?” Unfortunately, some people thought I was serious and concurred. No biggie. Next time, I’ll be more clear and put *sarcasm next to a statement intended as such. Further down Aria makes her point very clear, much to my concern and disappointment: ” I guess people don’t realize that he was in the “allegedly” in process of violently sexually violating another child when he was caught. Do I need a jury to assure me he is guilty. Probably not! And victims are really afraid to come forward in this case because of who he is. So I ask all the proponents of fair play. Give me a solution Please because I feel this monster will walk and he will be one of several that continue to plague our country until the justice system catches up or people take matters in their own hands. What does a society do to protect itself?” Having a jury convict a person accused of anything is NOT for the assurance of his guilt but rather an exercise in justice, you know, that process we need to make sure INNOCENT people don’t go to jail? I get it. You don’t believe that it will happen. It hasn’t many times. And many murderers and rapists walked free of consequences because of their status in society; bribes paid to key players; intimidation of witnesses; lost evidence because of incompetence and gross mishandling. I GET IT! As other people challenged Aria to clarify her position, she kept saying she was only asking for a solution but when given them, she was adamant that families of victims couldn’t wait for the system to change and asked basically what are we to do in the meantime? She suggested that these “monsters” will walk and plague us if we don’t take matters into our own hands. What does that mean Aria? Kill everybody we “know” is guilty? Remember the poor taxi guy everybody “knew” was the murderer? HE WAS INNOCENT. What would have happened if society had decided to “take matters into their own hands”? How would you have felt if society had killed this man and come to find out it was someone else? How is that a “solution”? Let’s make something clear hear. Your statement on Facebook was insulting and condescending. Just because everyone isn’t out there screaming about justice or waving a noose around, doesn’t mean they are not as passionate as you, or as concerned or as “affected”. We just choose to do it in a different way and there is no reason we as a society can’t do both. Protests serve a purpose. It is a time to vent. It is a time to feel connected with others. It is a time to bring attention to an issue of great concern. BUT it is merely the beginning of anything. Protests in and of themselves do little to change anything. They can prompt change but the change will be brought about people who take the time to write proposals, present them and have others vote them into policy, law etc. So, killing Bert Vasquez takes care of one person and “a” situation for just a brief moment. The system will still be broken and others will then continue to “get away”. You will basically have NOT affected change and you most certainly will NOT have come up with a solution. Rather, what about the other issues you have now created? Liiiiiiiiike: WHAT ARE WE TEACHING OUR CHILDREN? Where the hell are your beliefs in god now? What kind of god is he/she who allows YOU to kill but not others? Have you thought of what kind of reputation this will give to Belize? How does that kind of behaviour influence investors? TOURISTS??? And lastly, since we seem to have forgotten her: what the hell does this do for Jasmine’s memory? She was a Girl Scout. She worked with her father in her community. Everyone who knew her, liked her. DO YOU HONESTLY THINK THIS IS WHAT SHE WOULD HAVE WANTED? I can emphatically tell you “No!” She was about helping people, not turning them into hateful, demonic beasts seeking vengeance in her name. So you asked for solutions. You are not going to like the answer but tough. You will help undo the damage by advocating for new legislation and abolishment of defunct, unjust old ones. You will inspire others to seek education in areas critical to justice system. You will demand that proper funding is allocated to fighting crime so that we will get better equipment and facilities aimed at proper gathering and storing of evidence. You will show your support for the hard working officers who put their lives on the line by participating in fund raising efforts and cooperating wherever needed. That means calling the police when a crime is committed, appearing in court when you are called as a witness and teaching yourself and your kids the law and ABIDING THOSE LAWS. You will demand that investigations are made into allegations of misconduct, police brutality and corruption. You will exercise patience and serve as an example of calm, well thought out convictions. You will be a symbol of hope in yourself and Belizeans, that we know the right thing to do and that we will do the right thing. And you will start by reining in your rhetoric and realizing that you have to stop being irresponsible with your words. You need to realize your power. When you do, maybe you can start being the change you keep demanding everyone else makes. written article. I’ll make sure to bookmark it and come back to read more of your useful info. Thanks for the post. I’ll definitely comeback. After reading Lightfoot’s article, I quickly realized that the article was written with intense emotion and a thirst for blood. It was apparent in her tone. She spoke about skimming Bert’s friend’s list….accused them of possibly knowing his deeds…and seemed to forget about freedom of association. She, like many other Belizeans, have been calling for vigilantism. I feared for our country when these calls were being made. Killing a man for killing a girl is not justice. When you break your country’s law to uphold another, it is not justice. 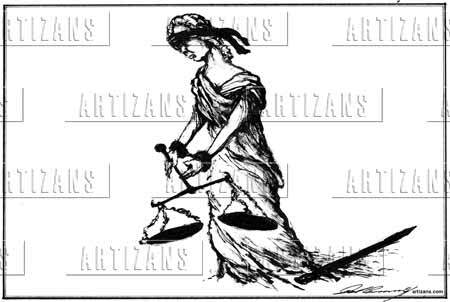 Justice is abiding each law that protects our country. Vigilantism will lead to chaos. And what if Bert did not kill Jasmine Lowe? Then the real killer is still free in our country. The publicity of this case is in Bert’s favour! His lawyers can say that the police have only charged him to appease the community. You simply cannot choose what is just and what is unjust. Thirst for blood. Exaggerate much? Kindly quote where I made a call for anyone to go take matters in their own hands? Not even Faye can locate where I made any such appeal. She is interpreting what she thinks I was saying. I will always challenge the status quo and force people into taking their thinking to another level. There is absolutely nothing I can add to this. Well said Faye…but most importantly, it was necessary that this be said. Faye Marie Anderson. After your attempt to berate Aria for her BOLD STAND FOR JUSTICE THAT SHOULD NOT TO BE DENIED, which is now very prevalent in modern Belize, you lengthily offered some suggestions on how to bring back justice to Belize. You mentioned many actions including Forensic gathering evidence and thus creating a case that eliminates ERROR ” without the shadow of a doubt “. BUT you subtly evaded any suggestion or pronouncement on what measure of punishment should be given commensurate with some of these barbaric crimes. Perhaps you don’t believe in the Bible or the Koran, which tells us in no uncertain terms, that ” A man that takes away another mans’s life should be put to death “. Or as all pious persons, You are a firm believer of HUMAN RIGHTS even though they are contrary to all other humans’ rights. You missed the point, no doubt still held in thrall by the emotionalism of which Faye speaks. Faye did not evade any mention of punishment for barbaric crimes…it just was not the subject of this particular article. And as for accusing her of not believing in the bible or the Koran…well that is just simply ludicrous and frankly beneath you. As for your quote…well, I agree…but isn’t there still this little thing called proof that the man who should be put to death really took away another man’s life? My Facebook was really geared at my friends why it is not an open forum and also why I keep my page private but incitement means to provoke violence not discussion and it is a ongoing discussion. Also having to call someone names because they disagree is really not promoting discussion but argument. Anyway, since you need to take it here I will continue to ask. What is the solution? You offer our readers a tirade of morality! I suppose the whole last paragraph escaped your attention…and what makes you think your “innocent facebook post” wouldn’t lead to violence? You have no idea your power…Do I see what you cant? That people love and respect you and may take your words seriously? And by the way…facebook statuses are used allllll the time to convict people so no..it is not private…not when your friends are also your readers…I will say that pretty much I am unaffected by the rest of your assertions….they are the words of someone who has not fully digested the meat of my argument….